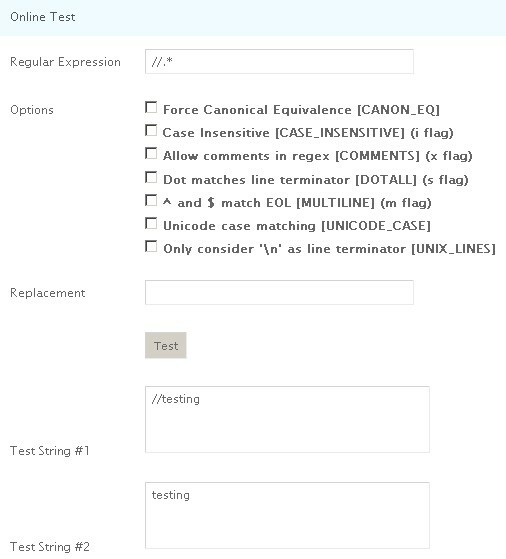 Here is an online regular expression testing for Java. For example, to find all comments in a source code file. First input //. 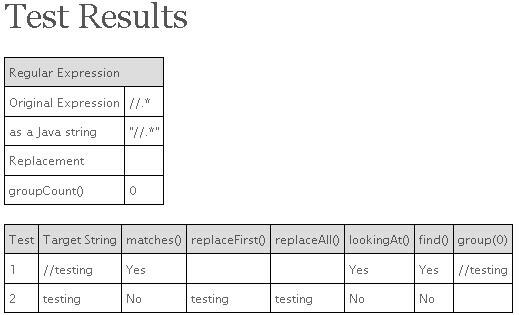 * as regular expression, input some strings for testing, such as "//testing", "testing". When it is submitted, the web page gives the following result. For reference to use Regular Expression, here is a pretty good and brief guide.